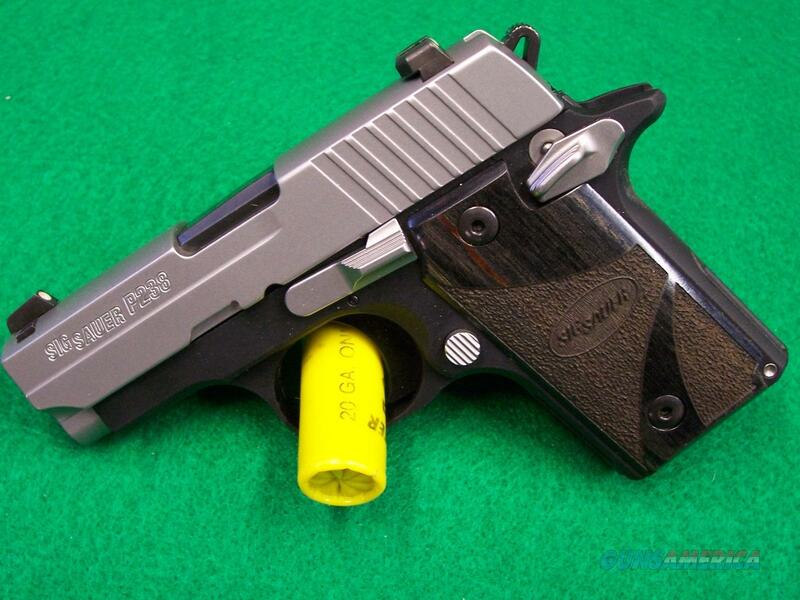 Description: Beautiful "In The Box" like new Sig Sauer P238 380 ACP Micro Compact pistol with two-tone finish, Blackwood grips and SIGLITE night sights. Serial # 27B073827. Original owner. This little gun looks, feels and shoots like brand new. Well cared for and always cleaned, lightly oiled and stored out of the box, in the safe after each use. List price on this model is $715.00. Includes the original 6 round magazine and a factory 7 shot extended magazine with finger grip extension. Also includes the original factory lock, owner's manual and Sig waist holster. Ammunition shown in photo is not included. Shipping is included and will be to your FFL dealer anywhere in the US.